In the previous post we saw how to view changes made to a database. The _changes API endpoint returns a JSON with the list of changes. There are various filter functions to view only certain document IDs or include the properties of the document in the response. In this post we’ll take a look at data replication between two databases. By data replication we mean that a set of data in a database is copied over to another database. There’s always a source and a target database where the data from the source database is replicated to the target database. The target database is also called a destination database. Ideally only those records are copied over that don’t exist in the target database. This is a means of creating backups or archives of data. Data replication can be a one-off event where the DB administrator initiates the replication either in a management UI or in code. 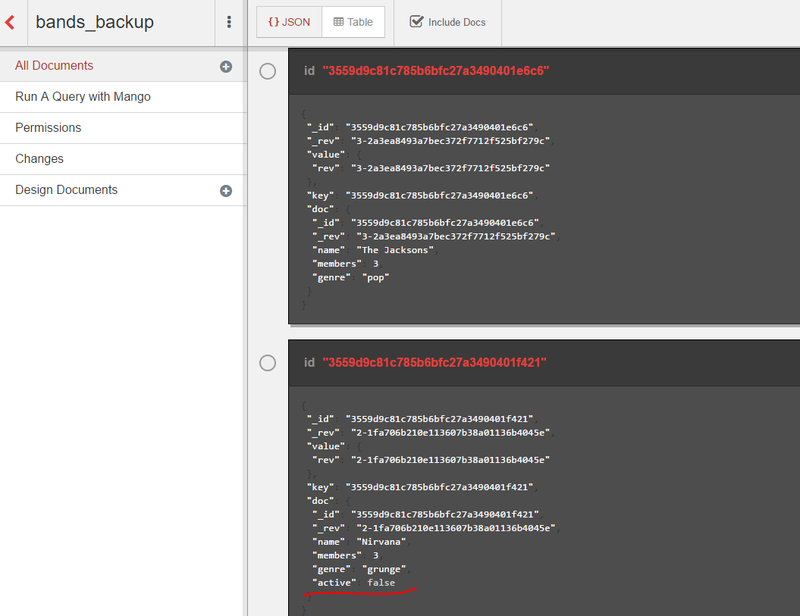 Another replication mode is continuous where a change in the source database is automatically copied over to the target database. Either way the expected outcome of the operation is that the source and target databases have the same set of active documents. Even the revision IDs must be the same. If a document was deleted in the source database then it must also be marked as deleted in the target database. The source and target database can be either local or remote databases. If the source is local and the target is remote then we push the documents from local to remote. This is called push replication. The opposite, i.e. when the source is remote and the target is local, is called pull replication. I won’t copy the response here, it’s identical to the set of documents in the bands database. We can set the “create_target” flag to true if we want the target database to be created. 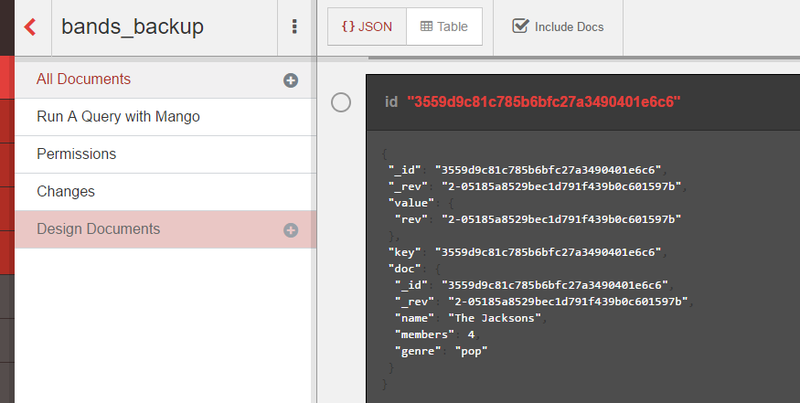 We can also set the doc_ids array to only replicate certain documents to the target database. If either the target or source databases are remote then we include their full URLs like http://mycompany.database.local:5984/bands . missing_found: the number of missing documents. This will be a positive integer in case of any document insertions. docs_written: the number of documents replicated to the target database. This will be a positive integer in case of any document insertions. Normally missing_found will be the same as docs_written. The API will respond with a 202 Accepted. …which responds with an array of active tasks. Note however that a CouchDB server restart wipes out the list of active tasks. All replication processes must be set up again after a server restart. Thanks for the sharing the knowledge on the web. I am Masters student in Germany and as part of my program I ought to do a project: to develop a data quality webapplication using asp.net web api2, couchdb and angularjs. I am able to program the clientside but I am unable to connect to couchdb through asp.net web api. can you please navigate me through steps for setting up the connection between couchdb and asp,net web api. Dear Kumar, the end of the series on CouchDb shows how to interact with the CouchDB API from a .NET project.